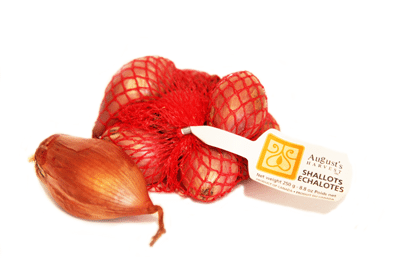 Shallots have a sweeter, milder flavour than a traditional white or yellow onion with a hint of garlic. They can be used as a substitute for any recipe that calls for onions. Shallots work especially well in dishes where they’re eaten raw, like dressings, condiment trays, salads, burgers & hot dogs. Try them deep-fried or pickled. 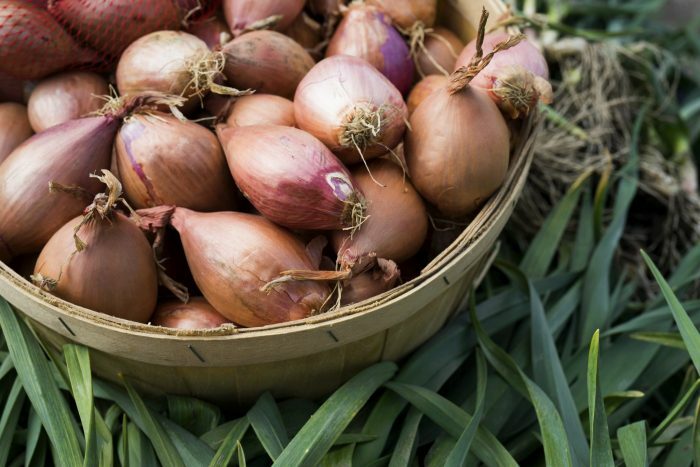 Store shallots in a cool, dark, dry and well-ventilated place. They will keep for up to a month. © Copyright | AUGUSTSHARVEST.COM | All Rights Reserved.